WallStreetProfiler.com is a communications and marketing website specializing in the email distribution of paid advertisements. We distribute timely investor news and present trade alerts to our growing base of subscribers that span more than 60 countries. 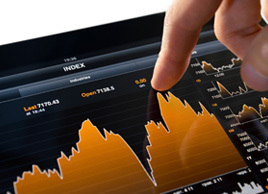 WallStreetProfiler.com is focused on small cap or penny stocks – these stocks are listed mainly on the OTC Markets. Our website and newsletter distributed company profiles sometimes included companies listed on the larger indexes, namely the NYSE/AMEX, NASDAQ, and TSX.V. Our distribution channels include various electronic communications platforms and span email, websites and social media (Facebook & Twitter). Our extensive uses of these mediums provide the visibility and relevance needed by our subscribers to make sound decisions. We take a transparent approach to our distribution service and encourage all subscribers to take the time to read and understand our disclaimers before joining. We also encourage subscribers to conduct due diligence before taking any investment decision based on information found on any of our distribution channels (newsletter emails, website profiles and social media updates).